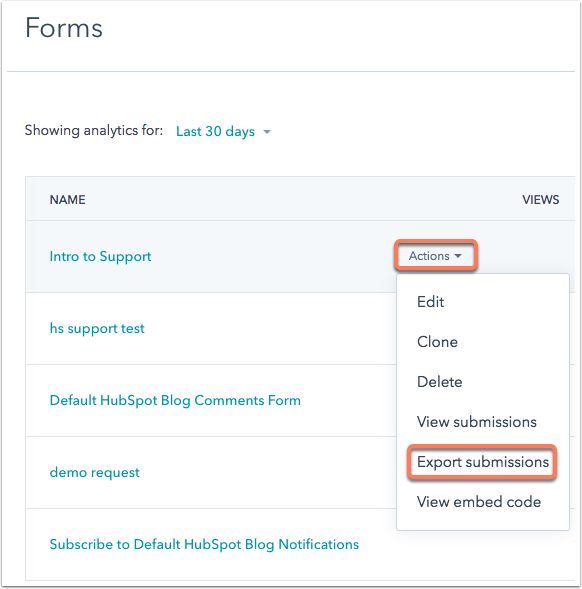 Hover over the form, then click the Actions dropdown menu and select Export submissions. Please note: users must have permissions to export contacts in order to export form submissions. If the Export submissions option is grayed out, contact your account administrator about changing your user permissions. In the dialog box, click the File format dropdown menu and select a file format for your export file, then enter your Email. Click Export. You'll receive an email with a download link to the export file, which includes form submission fields, conversion date, and conversion page. 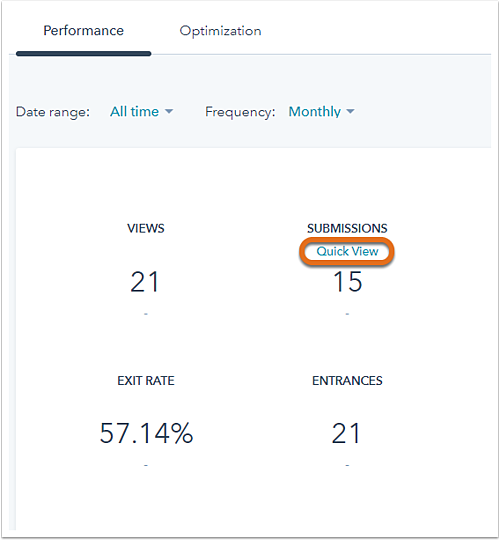 On the Performance tab, hover over Submissions and click Quick View. In the right pane, click Export. Click Export. You'll receive an email with a download link to the export file with the form submission data.